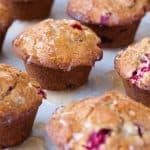 This is my new favorite cranberry muffin recipe! I’ve been fighting this fall-loving feeling for the last few weeks. Unfortunately, the beginning of fall doesn’t only make me think of apple pie and beautiful falling leaves. It also makes me think of things like: the Polar Vortex of 2013 [shudders], raking those beautiful leaves, salt-encrusted cars, expensive heating bills, and racing around town looking for last minute Christmas gifts. Don’t I sound like such a grinch? 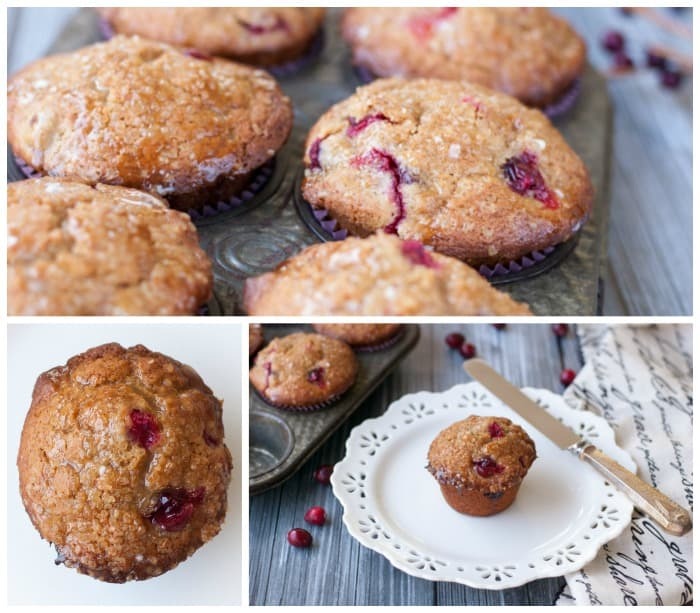 After one bite of these tangerine-soaked cranberry muffins…the grinch is dead. You’ve won, REO Speedwagon. I can’t fight this feeling anymore. I must have you NOW, fall recipes. Fat clothes. We secretly love those big sweaters and down coats that cover EVERYTHING. 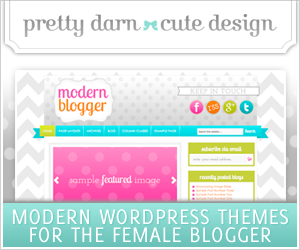 ParTAYS – free food, free drinks, lampshades on your coworkers’ heads – what’s not to love? After January 1st, I can’t help you. It’s every man for himself as we all hunker down and pray for spring. But for now, LET’S EAT and be thankful. I made a delicious mistake when making these. I double glazed them! Glazed once, and let it soak in a bit and then made another batch of glaze and added more (I only did this for the sake of photography.) WOWZA whoop whoop was it good! It was so moist, sweet, and tart. And did I just say wowza whoop whoop? No, no that didn’t happen. Preheat oven to 425°F. Spray muffin pan with non-stick baking spray and set aside. In a large bowl, combine flour, baking powder, salt, cinnamon, allspice, and cardamom. Whisk together and set aside. In a medium bowl, lightly whisk the eggs. Add granulated sugar and dark brown sugar and stir to combine. Next, whisk in buttermilk, oil, vanilla, tangerine zest, and 1 teaspoon of tangerine juice. With a large spoon, slowly fold in wet ingredients into the dry ingredients. Be careful not to over-mix! Just slowly stir until barely combined (you will still see some flour lumps). Gently fold in cranberries. Batter will be lumpy. Spoon batter into muffin pans. 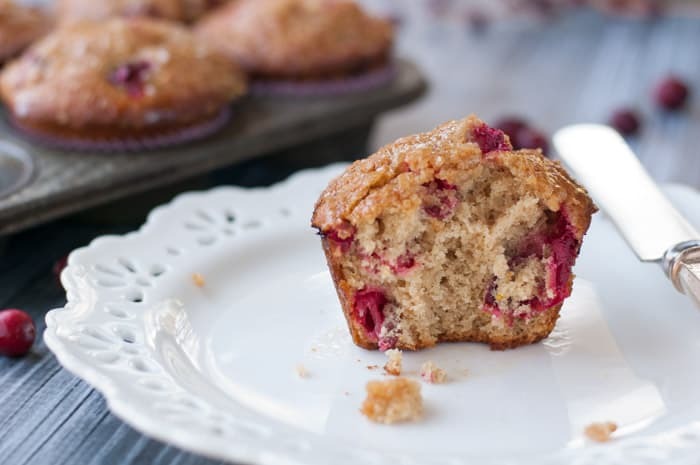 Sprinkle muffin tops with course sugar. Bake at 425°F for 5 minutes. 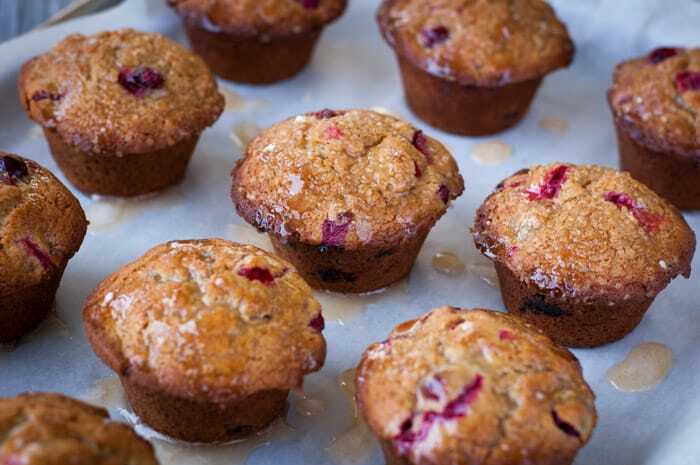 Without taking the muffins out of the oven, reduce heat to 375° and bake for additional 22-23 minutes or until an inserted toothpick comes out clean. Cool muffins in pan for 10 minutes before removing them. Cool completely before adding glaze. To make glaze: combine powdered sugar and 3 tablespoons tangerine juice with a whisk. (If you want to thin it out, add a little milk. To thicken it up, add more powdered sugar. Note: if you’d like a tartness to your muffins, don’t add any milk to the glaze. Adding the milk dilutes the tangerine flavor and makes it more sweet than tart, which is yummy, too, but good to note.) 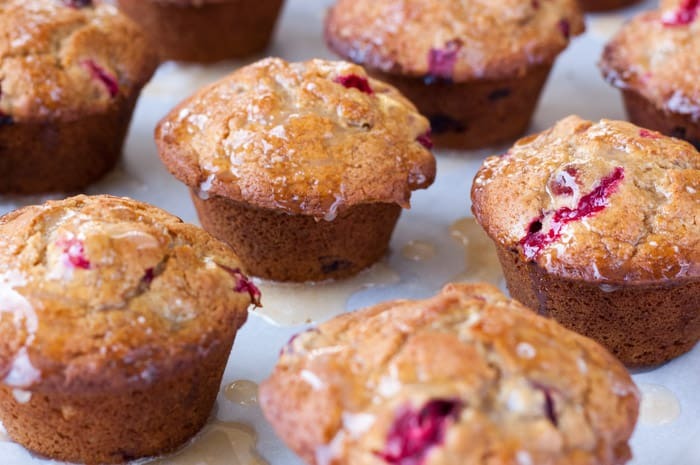 Drizzle glaze over muffins and serve. THESE LOOK ABSOLUTELY DELISH!!! YOU GO GIRL!! YUMMMMMMY! AND THE PHOTOS LOOK AWESOME TOO! Thanks, Robin! These are so good that I’ll be making them again soon. YUMMMM-MEEE! These look divine! All I need are tangerines & buttermilk and I’m good to start baking … oh, and waiting for it to cool down a little here in the armpit of Hades! 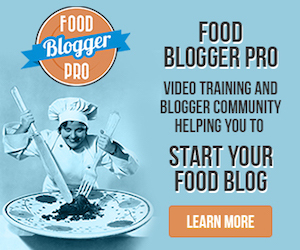 I have a technical question for the snob, why do you have to use DARK brown sugar? Do you know if it would really screw things up if I used light brown? You can use light brown sugar. However, it will change the flavor some (was going for that hint of holiday molasses to go with the fall spices) and the dark brown sugar makes them a tad more moist. I made them the first time with light brown sugar and preferred the dark. Those look wonderful and the pictures look like you could eat them right off the page! Nothing beats a good home baked muffin. 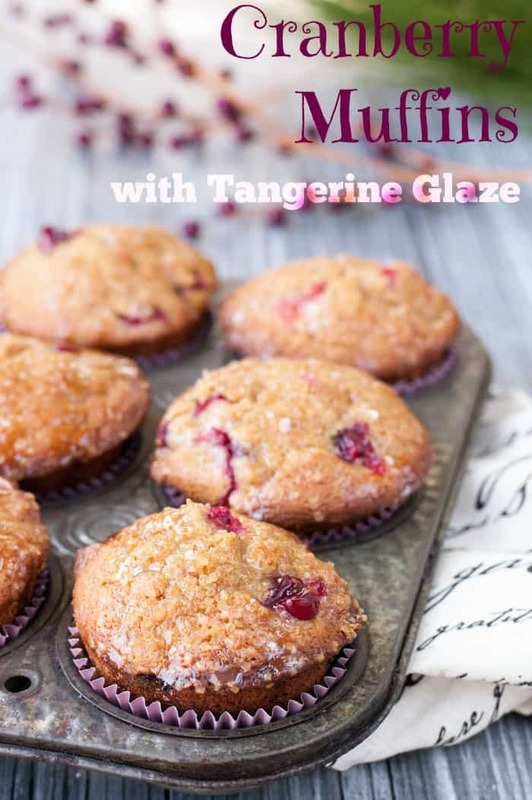 I can definitely picture myself making this recipe soon and in the upcoming Christmas season.. loving the combination of cranberry and tangerine especially. Pinned! This looks great, I will try this recipe.